Caroline and Eduardo scoured the scenes of Europe and Latin America for over 12 years with their post punk band PANICO. Ten albums later, Caro and Edu launch a new project: NOVA MATERIA. NOVA MATERIA was born from the willingness to consider music as a direct derivative of the natural and industrial elements that surround us. More electronic and experimental than PANICO, the duo uses raw material to transform and recycle: scrap metal tubes, stones rubbed on metal, drum, beat boxes, bass, electric guitars used as percussions....To reﬁne their sound Caro and Edu fetched parisian DJ and producer CHLOE, a real expert in turning raw elements into gold nuggets. Their ﬁrst EP "APARECE EN SUENOS" released on Paris based label Kill The Dj is a concentrate of wild energy, live act ferocity and sound experiments magniﬁed by CHLOE. Their second EP "ALL THE WAY" will be released through chilean label BYM and will feature remixes from Alejandro Paz, Föllakzoid and Paul Thomson from Franz Ferdinand. Their mystical, electrically charged mineral quality charges through ‘All The Way’ and advances their base values established on the previous release. The agenda is to flow without restraint while harnessing a DIY-Artesanal mode of production with feedback and BPM. This is full frontal and raw, with a knowing nod to Chicago house, an urgent twist of power pop and an unhealthy dose of sexual tension - so as you might imagine - it works. The high end production with a deft touch from Chloé Thévenin helps too, casting as it does a well meaning eye on the duo’s new material since their early steps. 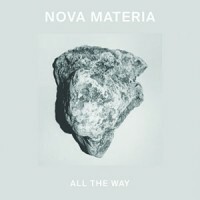 Nova Materia remains a compelling mixture of joyous confusion and organised chaos of noise mastery where the anarchy is channeled to evoke and stir something living within the dancer.